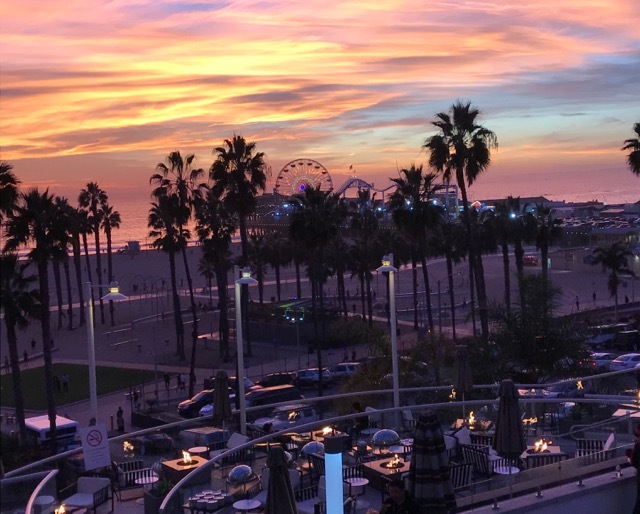 Wednesday 12th November – The 2014 American Film Market (AFM®) wrapped its 35th edition today after 7,946 attendees visited the Loews Hotel in Santa Monica for the eight day market. 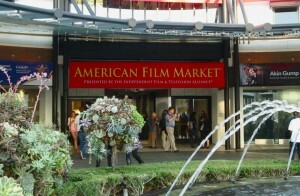 The AFM again was host to a truly global market, with 1,670 buyers coming from over 70 different countries. Overall exhibitor attendance was up 1% from last year with 2,825 executives from exhibiting companies from over 40 countries, with the largest number of exhibitors coming from the United Kingdom, France and Japan, after the USA. Overall industry attendees, the non-buyers and sellers that include Attorneys, Bankers, Festivals, Film Commissions, Filmmakers, Financiers, Post Production Facilities, Producers, Studio Facilities, and Writers finished at 2,624, up 1% from last year’s numbers. The AFM also hosts a large segment of independent writers, producers, directors and wannabes of all ages. Many of the faces haunting the lobby of the Loews Hotel have been attending the event for decades while many are just starting out. Spotted at the AFM was this young man, Alexander Saffaie and his mother, producer, Michelle Alexandria. “With the film business being so youth oriented these days, you can’t wait to get in the game,” she explained with a smile as she and her baby, Alexander hurried to another power meeting. 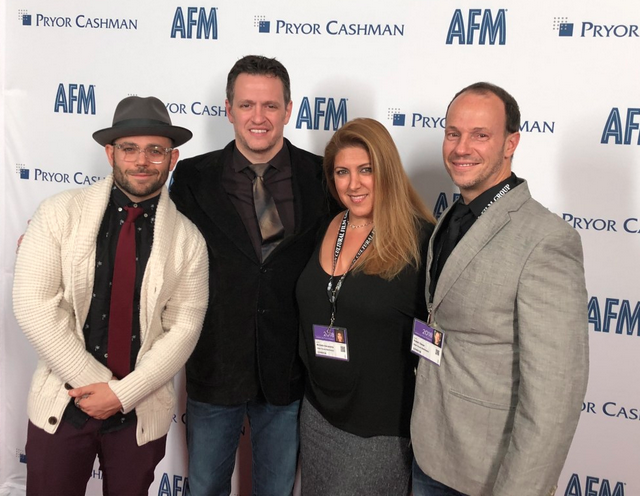 This year’s AFM screened 432 films with 352 Market Premieres, 85 World Premieres and a total of 654 screenings across the AFM Campus in Santa Monica. The popular five-day AFM Conference Series showcasing sessions on Financing, Pitching, Production, Marketing and Distribution featured global industry leaders including: Brett Ratner (producer), Cassian Elwes (Independent Producer), Tobin Ambrust (Exclusive), Mark Damon (Foresight Unlimited), Mark Gill (Millennium), Rena Ronson (UTA), Emanuel Nunez (Paradigm), Russell Schwartz (Relativity), John Sloss (Cinetic), and Nicolas Gonda (Tugg). 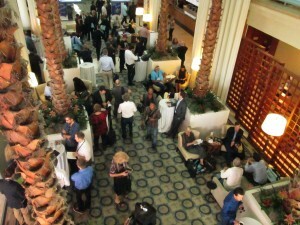 The AFM Conference Series, which launched four years ago, hosted international audiences of more than 700 daily. The 2014 Roundtables and Conversations featured notable industry elites including Wei Han (Bliss Media), filmmaker and comedian Adam Carolla, Meyer Schwarzstein (Brainstorm Media), Caroline Stern (Kaleidoscope Film Distribution), and many more. 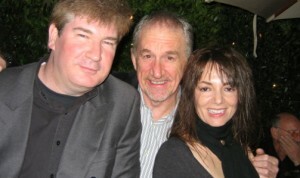 The Directors Guild of Great Britain in association with EJ Casting hosted an an evening of cocktails and conversation last night at Cecconis Restaurant in West Hollywood. Among those attending were actresses Jacqueline Bisset, Joanne Whalley, Barbara Steele and former MGM child star, Cora Sue Burnett. Male actors were represented by Kakeem Kae-Kazim, Tom Malloy, Luke Massy, Craig Young, Darren Darnborough and Eric Peter-Kaiser. Also in attendance were musician and author, Paul Tennant whose Beatle related book. All You Need is Luck will released early in 2010, Lady Victoria Herve and designer Julia Clancey. Others enjoying wine and Cecconis delicious pizza were actress, Tessa Shaw, producers, Louisa Spring, William J. McDonald, Peter Crane, Michelle Alexandria and Julia Verdin, directors Paul Lynch, Armand Mastroianni, Riley Wood and Peter Foldy, as well as EJ Casting president, James Norris. 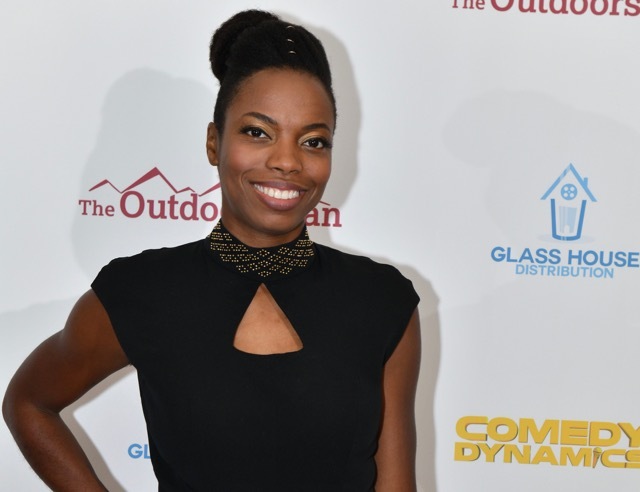 The Directors Guild of Great Britain was aiming to raise awareness for their various causes and charities, as well as to invite both American and UK industry professionals to join the organization. The DGGB focuses on promoting British directors, training and cultural events. They have given Lifetime Achievement Awards to film and theater directors such as Fred Zinneman, Joan Littlewood, Stanley Kubrick and John Schlesinger CBE.